Despite the constitutional requirement that House seats be reapportioned to the states respective of their population every ten years according to the census, members of Congress failed to agree on a reapportionment plan following this census, and the distribution of seats from the 1910 census remained in effect until 1933. In 1929, Congress passed the Reapportionment Act of 1929 which provided for a permanent method of reapportionment and fixed the number of Representatives at 435. This was the first census in which a state – New York – recorded a population of more than ten million. Full documentation for the 1920 census, including census forms and enumerator instructions, is available from the Integrated Public Use Microdata Series. The original census enumeration sheets were microfilmed by the Census Bureau in the 1940s; after which the original sheets were destroyed. (dead link). The microfilmed census is available in rolls from the National Archives and Records Administration. Several organizations also host images of the microfilmed census online, and digital indices. Microdata from the 1920 census are freely available through the Integrated Public Use Microdata Series. Aggregate data for small areas, together with electronic boundary files, can be downloaded from the National Historical Geographic Information System. 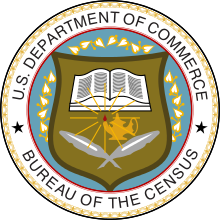 Wikimedia Commons has media related to 1920 United States Census.